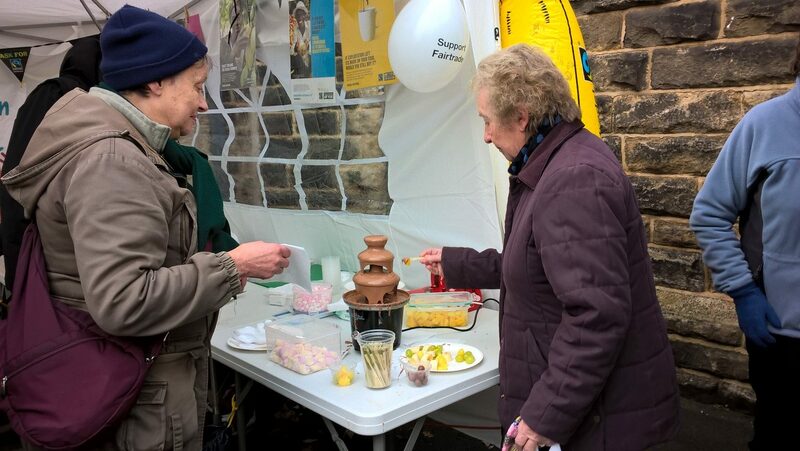 The Fairtrade Fountain was a great success at Horsforth Farmers’ market. Hope everyone has a Happy and Peaceful Christmas. Pop along to Horsforth Farmers’ Market on Saturday 2nd December from 10am-12noon on Town Street,( St Margaret’s School) and look out for the Fairtrade Stall. There will be lots of great Fairtrade gifts to buy, and a Fairtrade chocolate fountain for you to dip fruit in. What a great start to the Christmas festivities. Guiseley Baptist Church on Oxford Road is having a coffee morning from 10.15-11.30 on Saturday 11th November. There will be tea, coffee and bacon sarnies and lots of super Fairtrade gifts from Traidcraft, Zaytoun and “From the Source”. Do pop along and get your Christmas shopping off to a flying start. Just a reminder that Katherine’s TRAIDCRAFT OPEN HOUSE starts tomorrow, Friday 3rd Nov (10-6). All Welcome! Please pass the word around. Address: 35 The Drive, Roundhay, Leeds LS8 1JQ. 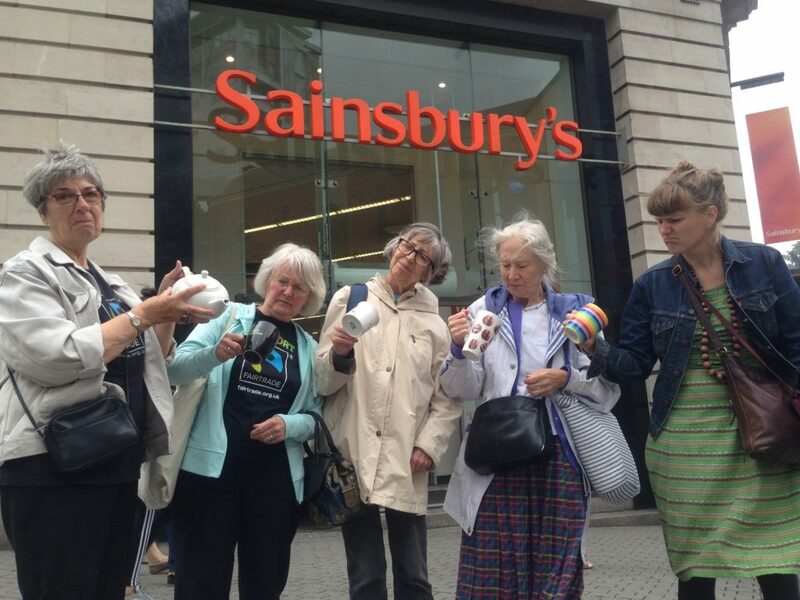 We won’t buy Sainsbury’s Red and Gold label tea until they regain their Fairtrade status. Please Sainsbury’s give us back our Fairtrade tea. 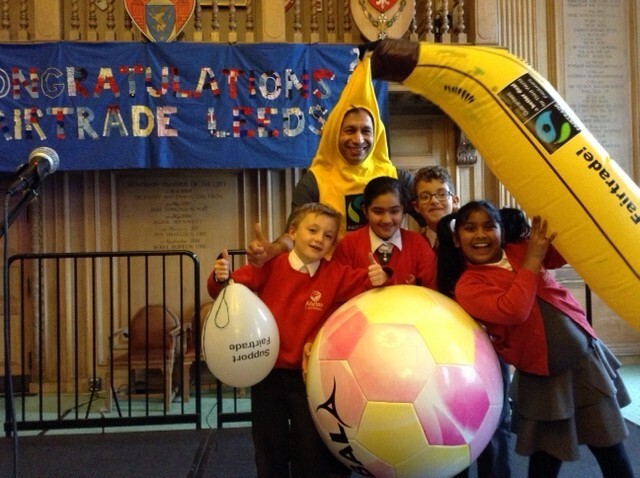 The Leeds Fairtrade Group is run by a small group of volunteers. We are now looking for a voluntary co-ordinator to help us. The role involves helping to initiate and organise events, help with running meetings – we meet six times a year on Friday mornings, and help with keeping our Twitter and Facebook pages up to date. Assistance with keeping our website up to date would also be helpful. Ideally our volunteer would have the ability to facilitate and encourage volunteers’ ideas and actions, ability to work as part of a group, experience in “small event” management , and to be able to liaise with existing and potential partners across the city. He/she would have IT and social media skills, ability to take the initiative as well as work as a positive team player and to be a creative thinker. To have understanding of Fairtrade and global issues would be an advantage. Please contact us with brief details about yourself and your relevant experience if you would like to join us.